I NEED to help the Agile Customer discover usability needs, help the team meet them and verify they have been met. 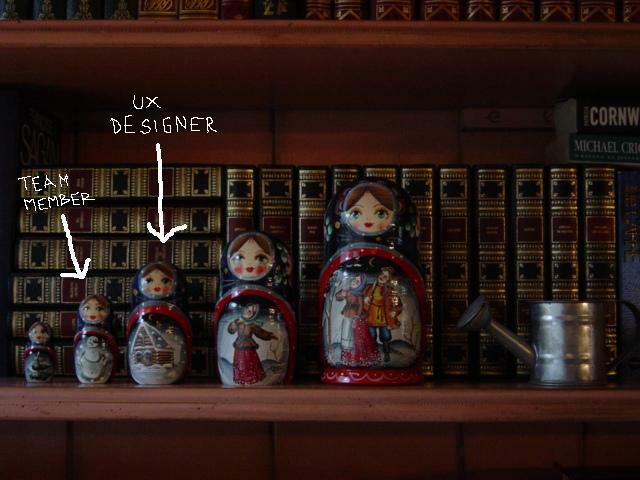 I help the team to understand the usability needs and how to meet them. I provide estimates to the required level of accuracy for stories and tasks. You can find out more about the other Agile Team Roles and Responsibilities here. The entry 'The Role of an Agile User Experience (UX) Designer' was posted on April 23rd, 2009 at 9:00 am	and last modified on April 25th, 2009 at 6:04 pm, and is filed under Coach's Log, Team. You can follow any responses to this entry through the RSS 2.0 feed. You can leave a response, or trackback from your own site. I am by no means an Agile expert or even claim to be someone versed enough to talk about Agile. That said, I am a user experience professional who has been doing this for about 13 years now. What you described above seems to be slighly off the mark. For example you talk about the role of an Agile UX Designer as someone who needs to deliver quality UX deliverables and then you go further to explaining that. As someone who does UX for a living I feel the role of anyone who is doing UX be it in agile teams or in a organization that adopts a different methodology is that of ensuring the user’s needs are met. It’s not about pumping out deliverables or writing user stories. It is about understanding who the user is, what their needs are, what challenges they have with completing what they set out to do, what functionality is easier for the user to use and understand, and so on. If you look at Morville’s honeycomb you will see UX is really centered around driving usefulness, usability, accessibility, value, creditability, findability, and even desirability. Have a UX person focusing on deliverable is simply not doing UX, it’s doing paperwork. Much like if I hired a designer whose roll is to just deliver Photoshop files, there is fare more to it than that. Thank you for your feedback. We’ve reviewed the blog entry in the light of your comments. Do you think it’s closer to what a UX Designer’s role and responsibilities should be in an Agile Team?